You love a really good tamale. A tamale overstuffed with seasoned chicken or pork smothered in red chile sauce and steamed to perfection. A tamale with the most incredible masa – a masa that cooks up perfectly into this nice little moist pocket of flavor, speckled with corn and packed full of flavorful meat. There is nothing more that I love than that as well ~ though I will be the first to admit that a nice big bowl of posole might come before a really good tamale. Why do we have to choose?! I love tamales and I have been making them for a very, very long time. While just a few years ago, I’d be hard pressed to be putting tamales together in the 90-100 degree Phoenix weather, when I got the Instant Pot in 2015, tamales were a breeze. The 2 to 2 1/2 hour steaming session cut down to just 30 minutes in my Instant Pot, giving me just enough time to wash up the kitchen and lay out a tray ready to receive the newly steamed tamales from the depths of the pressure cooker… and within minutes of pulling them out, enjoying them one after the other as the smell of masa wavers through the house. These chocolate tamales are incredibly delicious – chocolate tamales with just the right amount of sweetness, stuffed with even more dark chocolate. They taste an elevated, rich, fudgy brownie. Over the years, I have made almost every type of tamale imaginable – from green chile and cheese to bean, shrimp tamales, tamales with pineapple and raisins, roasted tomatillo and chicken tamales, chicken and pork and even beef tamales, smothered in a beautiful, spicy sauce of red chile. 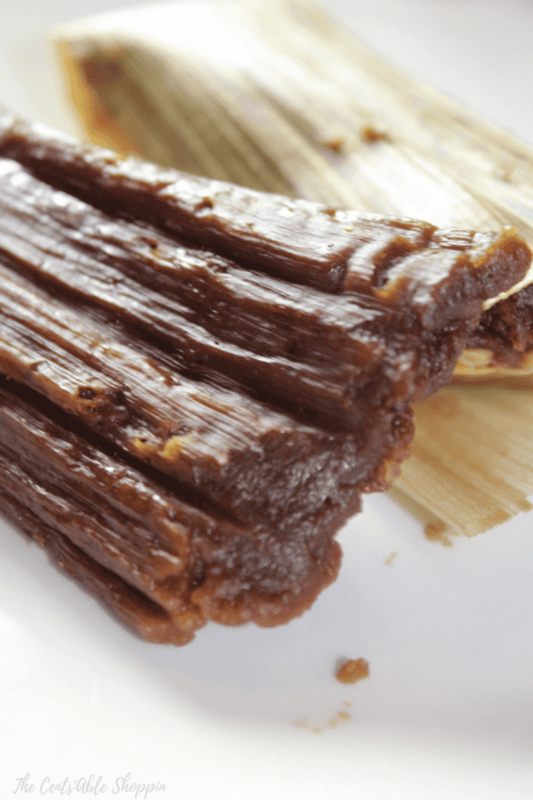 I love them all equally, but… these chocolate tamales might just top them all. They are incredible – even better, because you don’t have to labor over the stove to cook meat or prepare chile, they are incredibly easy to throw together. Have an Instant Pot? You’ll want to make sure you bookmark over 50 Instant Pot Recipes to include tamales, mole, yogurt, and more. 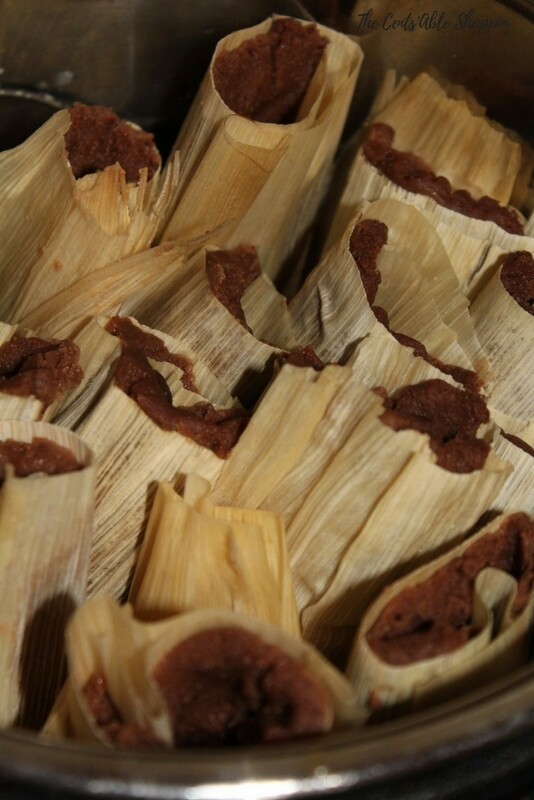 Chocolate Tamales are a twist on the traditional meat and chile filled tamales - they are rich and decadent with the perfect level of sweetness. Cover the husks with very warm water and put a heavy plate over the top of them to keep them submerged. You want to soak them for at least an hour if not two or three until the husks are pliable. For the tamales, pick out no more than 18 of the largest husks (at least 6" wide, and 6-7" long). If you can't find that many good good husks, then overlap a few of the next largest to be wide enough to spread the batter on. Place a stockpot on low heat, and combine the milk, butter, sugar, cinnamon, and Abuelita and allow to melt down together until well blended. Once the chocolate has melted down and the mixture is well blended, add the water, Maseca and baking powder and use your hand mixer to beat until mixed. The mixture should be moist, but not runny - if you squeeze with your hands it should stay together. Test the masa by putting a teaspoon of the batter in a glass of cold water - if it floats then the tamales will be light and fluffy. Pour 1 1/4 C. water in the Instant Pot and set the trivet inside. Lay your steamer rack on the trivet, and if necessary, remove the center of the steamer rack by unscrewing. Set it aside so as not to lose it. Lay a large (clean) towel on your counter top. Remove the soaked husks from the water and place on the towel - pat lightly to dry. Spread 1/4 C. of the batter onto a 4-5 inch area in the top center of the husk, then place a small amount of chopped chocolate inside the center, and down the middle of the tamale. Fold the left side over the tamale, then the right over the left, and then finish by folding up the bottom (leaving the top open). Set the tamale down on a large sheet pan or baking dish with the open end facing upwards and repeat until you exhaust your masa. When you are done preparing all of your tamales, place them all in the Instant Pot one by one - open end facing upwards. You should be able to fit 15-18 tamales in the Instant Pot. Place the lid on the Instant Pot and seal the valve (close), and set the timer for 28 minutes on High (Manual) pressure. The pot will take a short while to come to pressure, and then will count down from that point on. Once the pot beeps done, allow the pressure to release naturally for 5-7 minutes, then do a quick release. Remove your tamales carefully one by one and place in a large baking dish. Allow 5-10 minutes to cool before enjoying. Refrigerate leftovers in a zippered bag.